Thank you for choosing our Japan escorted tour from Hawaii!! – Please fill out this form completely and pay the balance due for the tour by December 31, 2015. 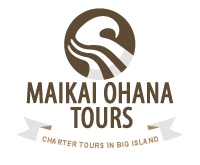 We will confirm your tour registration by e-mail (from jtour@maikaiohana.com) within 3 business days. Arigato gozaimasu!! – Enter the name, gender, passport number, etc. for each and every participant of the tour. Your passport information is required to book hotel rooms during your stay in Japan and will be only used for that purpose. – If you would like to email/fax/mail us your information instead of using this online form, download the brochure for this tour HERE and use the Tour Registration Form attached to the end of the brochure. The form can be scanned and emailed to us at jtour@maikaiohana.com, faxed to us (808-969-2023), or mailed to us (Attn: Yosh Sato, Japan Tour Sales, MAIKAI OHANA TOURS, 260 Kamehameha Avenue, Suite 209, Hilo, HI 96720).